Noosa Triathlon Multi Sport Festival (30 Oct - 3 Nov) is an annual five-day hallmark event, celebrating sports participation, healthy lifestyles, fitness and fun. With an irresistible mix of sport and entertainment coupled with sun, sea and surf the event consists of various family, social and sporting activities for all ages and abilities. 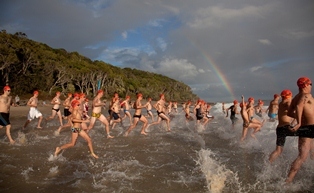 The feature event on the final day of the festival is the Noosa Triathlon. Over the years the event has evolved to include a large social calendar as part of the festival to ensure that its appeal continues to grow and capture both the sporting and non sporting consumer.